If you are new to Android, you probably are not aware of that it is very simple to take screenshot on Moto E.
To take a screenshot for Moto E, you simply press and hold both the Power and Volume down key simultaneously for about three seconds. You should hear the camera shutter sound once the screenshot is taken. The most important requirement is “simultaneously”. If you press and hold power key too early, you get power options, instead of taking screenshots. If you press and hold volume down key too early, you get volume adjust screen and decrease the volume. In practice, you can press and hold power key “slightly” earlier than pressing the volume down key, because power option will be triggered slower than the volume adjust screen. Where are the screenshots saved after taking screenshot on Moto E? The screenshot is always save in the internal storage of your Moto E.
You can check the screenshots from Gallery app–screenshots. You can edit the screenshot as normal photos using the Gallery app or Google+ Photos app. In the Gallery or Photos App, you can also share the screenshot as normal photos to many apps, for example, email, sms, or Google drive. Why I cannot take screenshot on Moto E? This method is the standard method to take screenshot on almost all Android phones (without physical home buttons). It should work on your Moto E.
If you get volume adjusting screen or power options, it means the timing of pressing the two keys is not good. You need practise it a while. Once you get you screenshot, you will find it is actually so easy to take screenshot in Moto E.
Are there any other methods to take screenshot on Moto E? Use an app. Most of such apps require rooted Moto E.
Use Android Debug Bridge (ADB) shell command (adb shell screencap ) from a PC. Use the monitors.bat (under tools folder) in Android SDK from a PC. Of course, the last two methods requires that you enable the developer options. Do you have any problems to take screenshot on Moto E? Please let us know your question or problem in the comment box below. For more guides, tips and tricks of using Moto E, please check our Moto E How-to Guides page. I did press the power button and volume down button, it never took a screenshot (I checked gallery) neither did it invoke power or volume down options. No sound came indicating a screenshot. Please help. You need press and “hold”. Same happen to me…. Its not work…. Only volume increase or decrease… One time also switch off…. The timing. Once you get it, you will find it’s so simple. Did you follow the guide? What error did you get when taking the screenshot? i had tried it, and yes i got it in first time a screen shot goes to your gallery and while you also get to know that screenshot is taken by screenshot animation. It means you press and hold power button too early. In other words, you press and hold the volume down burro too late. You need pay attention to the power option window. You can find them in the gallery app. I am first time android user…and Moto E is my first Android phone….I tried was surprised that it worked well. Because sms is length limited, Google keyboard does not provide enter key of it detects you are writing sms. Please note, longer and will be split into several messages. Some mobile phones may not combine them into one once received. I AM UNABLE TO TAKE SCREEN SHOT…IS THERE ANY NEED TO DOWNLOAD ANY SOFTWARE FOR THIS???????? No apps needed to take screenshot on Moto E. Actually most screenshot taking apps require root. Another way to take screenshot for Moto E is using pc. You need install android see in your pc and connect your Moto E to the pc through USB cable. Use UC browser. It has a screen shot add on on right hand. Thanks. It worked very rightly. Its really easy. thank you very much… it work well..enjoy screenshot..
Press it together at once. Worked on first try!!!!!! thank you people. It works well… Thank you team.. I was pressing vol increase button!! Lol!! Oh gosh!! Finally it works and Im really happy!! It’s to much good .. I really more and more deeply fall in love with my moto E .
how to take screenshort moto E? Can you follow the guide? Every time I take a screen shot the volume adjuster is in the picture. What am I doing wrong??? You pressed the volume button too early. If you see the volume slider, you should stop, wait till it’s gone, and try again. What Google logo? What page are you trying to take the screenshot? It doesn’t work for me. Few times I am able to take screenshot. Resolve it or find out an alternative options for it. 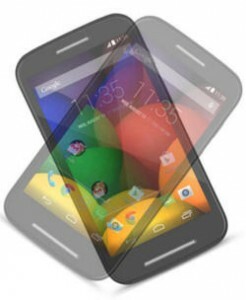 On moto e, probably there are no simpler solutions yet. I am still not able to do so..
Read the tips in the comments and try again. I have tried taking a snaphot on the MotoE it NEVER works. I bought the MotoE as a 2nd phone (main phone is an iPhone) the main criteria was the price . All Android phones use similar method to take screenshots. If you can practice to take one, you will then realize how simple it is. Some vendors, for example, Samsung, may provide a few additional options to take a screenshot. I am sorry that you are having this problem with your set but if you follow the tips its actually very simple. I say so cause this article helped me use my phone better. Just because the price is low is not an indication that the product is low grade as well. I would recommend that you go through the instructions again. This method is same on take a screenshot on moto g motorola, right? Yes, it works on almost all android devices. This is the common method of taking screenshot on android devices. Some vendors may add other methods to take screenshot. No, you use exact the identical way to take screenshot in Moto G and Moto E. Just a bit more practice. well even i think that you need practice to take a screen shot to b honest even i cannot take a screen shot if i try normally using moto e .. it does work for me when i take time to relax and then make sure both buttons together .. in other phones its very easy on this phone i found that u really need to put all you attention on getting the timing correct. press and hold both the Power and Volume down key for three seconds, or until you hear the camera shutter click. How to disable the Google search which pops up when we press home button in moto E ? I think, if you press the home button, it should bring you to the home screen. It opens Google search only when you swipe up from the bottom of the screen (or from the home button), This is part of Google now launcher. You can install Firefox browser in your phone. Now it should ask you to choose “Complete action using”, you can then choose Nothing. You can user adb commands to record the screen from your pc. Tried taking screenshot with the above mentioned method. Didn’t work. Screen went black and then phone switched itself off. You pressed volume button too late. Always look at the screen. If the power option comes, or volume option comes, try again. Call recording is illegal in some regions. Android disable such functions purposely. Most apps will not work properly. Most require root as well. Try your luck. It doesn’t work on ALL Moto E phones regardless of how much you practice. There’s another issue affecting some phones. There are no known problems on this method of taking screenshot. It works on Moto E and Moto E 2nd Gen ( Moto G and Moto X as well) without issues. Yes I got the solution of screenshot in my moto e. There is no problem at all.I clicked from the very first time without any issue. Thanks i could take the screen shot as suggested by you. I still can’t screen shot and it I get the timing perfect almost every time. I have spent over an hour trying to screen shot and haven’t got a single one. Please put something in the top drop down menu or a help button on screen. As mentioned, you may get the power option if you press power key to early, or volume options if you press the volume key too early. Nobody wants to get screenshot overlayed with some buttons or menus. Also, you may want to take screenshot for lock screen. This makes it impractical to assign the screenshot taking feature to an app. This feature has been in Android for long time. If you need take a lot of screenshots, you can take screenshot from pc using Android device monitor (part of Android studio). I was able to take the screen shots. However, I went to Gallery and Photos and nothing appeared there. Where else could the pics have gone? The screenshots are always saved in the Pictures/Screenshots folder in the internal storage. Normally, Gallery and Photos apps should show them by default. What button do I press on the phone to access the Pictures/Screen Shots folder? Like I said I see “Photos” and “Gallery” but the pics didn’t show up there. It helped me a lot. I didn’t know how to take screenshots before this. Thank you for the info. Completley helpful. I was able at first to take screen shots. Now no. If you say it takes practice, I would say its a bit of undeveloped technology. Its just not working now however I do it and do what you say. I accidently erased all data fromy SD card. However an important PIC was saved as my mobile wall paper. I can see the PIC but cannot save it or access it. Screenshot of the pic loses clarity and it also captures a lot of other mobile information. Is there anyway to retrieve or save the wall paper data. When you set an image as wallpaper, it will be copied into /data. However, this folder and subfolders are not accessible for users unless the phones is rooted. I just purchased a brand new first generation Moto e and I tried taking a screenshot on my old Huawei Glory and my brand new Moto e. It worked PERFECTLY on both the old Huawei Glory and the Moto e the first time around!!! If it’ll work on the old Glory, then it’ll work on just about anything else out there!!! Just follow the instructions! It’s SO simple a MONKEY can do it! Just press the LOWER VOLUME and POWER BUTTONS at the SAME TIME. Get it -> the SAME TIME! That’s what SIMULTANEOUSLY means. GOOD LUCK to all you Screenshooters out there! It is very, very, very fussy about the timing of the two presses. Other Android devices I have are much more forgiving. Has someone forgotten to adjust the interval timing when some internal clock has been increased…? Pressing the power button and vol down together seems to reverse the sense of the volume button. Very frustrating trying to capture a dynamic screen event. If you need to take a lot of screenshots or screenshots with some headup notifications, you can do so on a PC. Install Android studio (and Motorola USB drive on the PC), you can then use the monitor screen to take screenshots for the phone. This works on all Android phones because it uses ADB. If you don’t want to install Android studio (it requires a few GBs storage on the PC), you can just download ADB package.